Wednesday, July 8, 1914: Nothing doing. 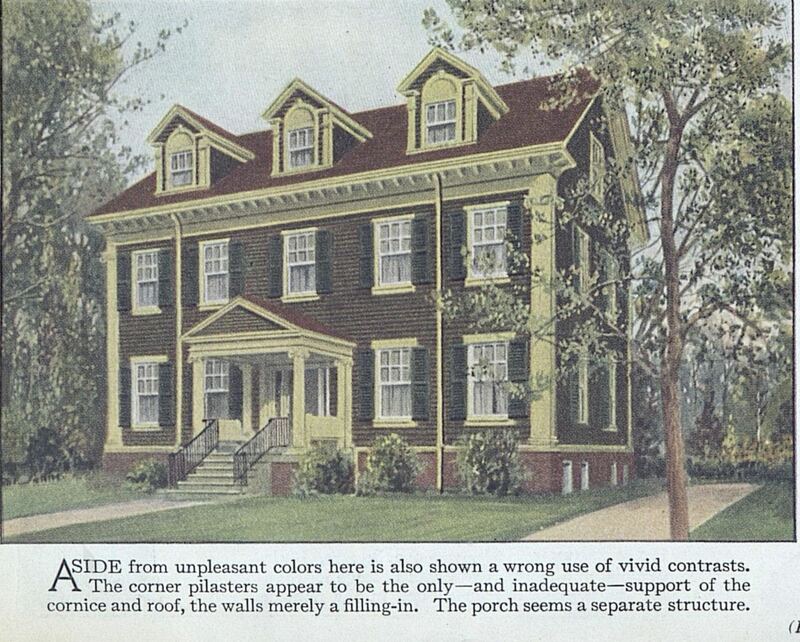 Since nothing was happening in Grandma’s life, I thought you might enjoy some pictures in a hundred-year-old article titled, Good Houses Spoiled by Bad Painting. 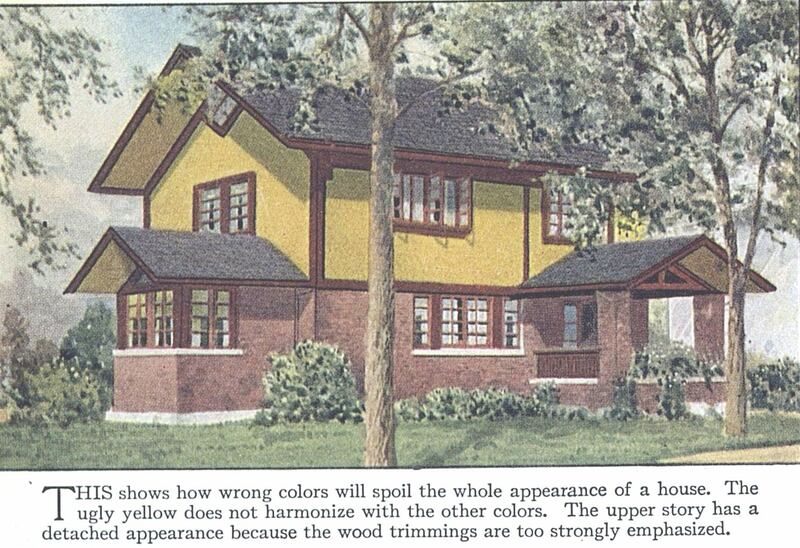 The pictures show the “right” and “wrong” ways to paint a house. Posted on July 8, 2014 July 7, 2014 by SherylPosted in OtherTagged family history, genealogy. That article certainly didn’t spare the words about “ugly”, did it? I really like the white one with the dark shutters. I like their ‘ugly’ houses. LOL. Pretty funny. At least our general vocabulary has improved. 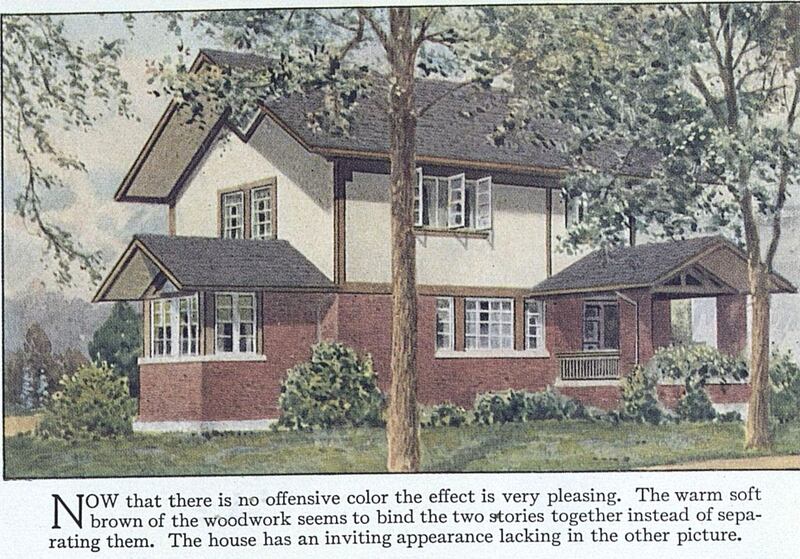 I like the “ugly” houses, too. It is interesting how dogmatic the assessments are! We don’t see that nowadays, really. 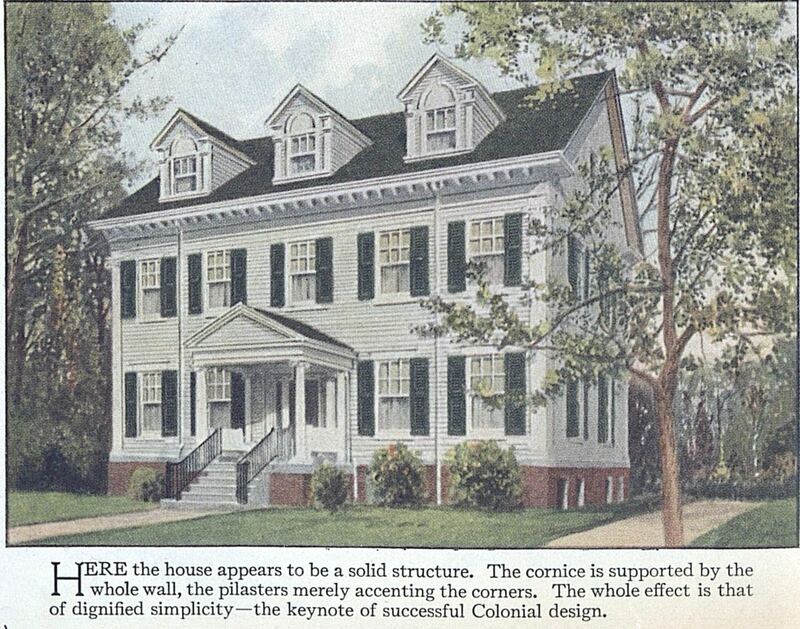 It’s more nuanced now–though most people somehow seem to know what is “in style” and what is “out of style”. I kind of like the ugly ones. 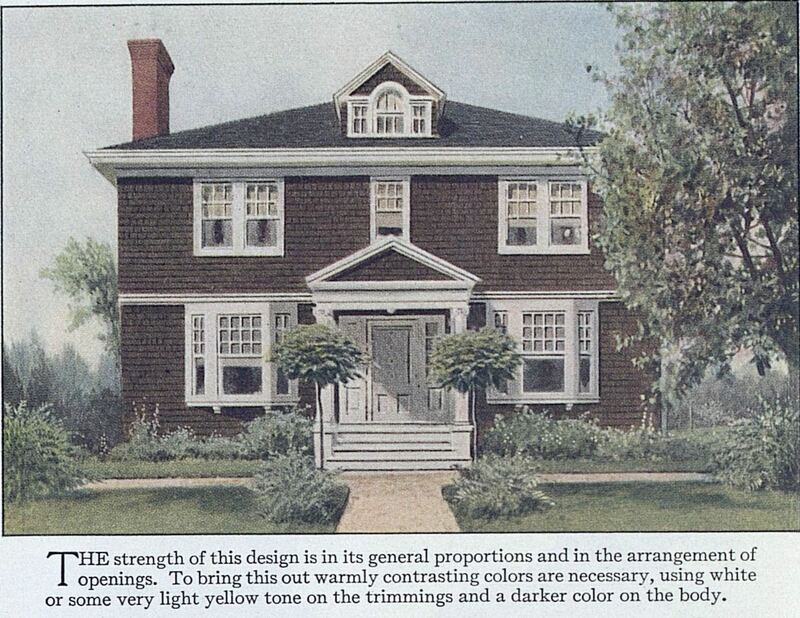 Strange arbitrary pronouncements about paint colours…Today we’d hopefully just say it’s a matter of different tastes…I too like the ‘ugly’ ones and wouldn’t have wanted this writer as a neighbour! The author seems extremely opinionated. 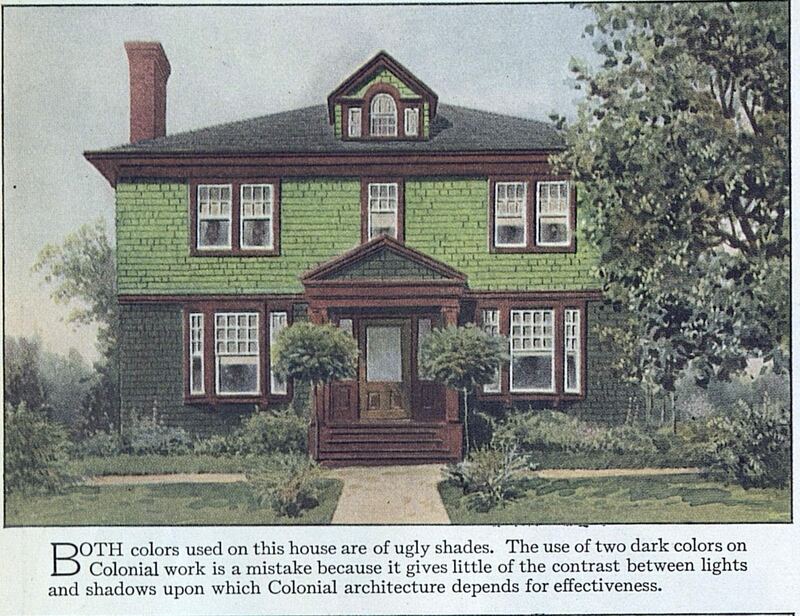 Aside from the colours, they’re all really big houses! They do look like they belong in an upper middle class (or maybe even an upper class) neighborhood. Regardless of the colors, I like all the houses. I had the same feeling. They look quite different depending upon the color, but they all are lovely. I really like the first house with the yellow over the brick. Nothing wrong in standing out. Some places today it is hard to tell one house from the other. Yellow works for me. I also really like the sunroom on that one. I’ve taken some time to catch up but just commenting here. Do you ever wonder about Grandma with her “nothing doing” entries? Was she unhappy or just bored? (Her 4th of July entry sure reveals the difference between our modern day 4th celebrations). My sense is that the reason she didn’t write much varied from one time to the next. Sometimes she was just busy with other things, whereas other times I think that she was feeling down. zI expect the writer would not have liked the gaily painted Victorians in San Francisco either – originally they were all painted in a solid color and the detail was very subtle. I LIKE the Painted Ladies–but you’re probably right about the author of the article. The ugly green one is beautiful! I really like the two tones of green on that one. I had so much fun reading the advice given under each example! Thanks for sharing. Really enjoyed this post. The houses are so beautiful in structure. Not many like this in Ireland!